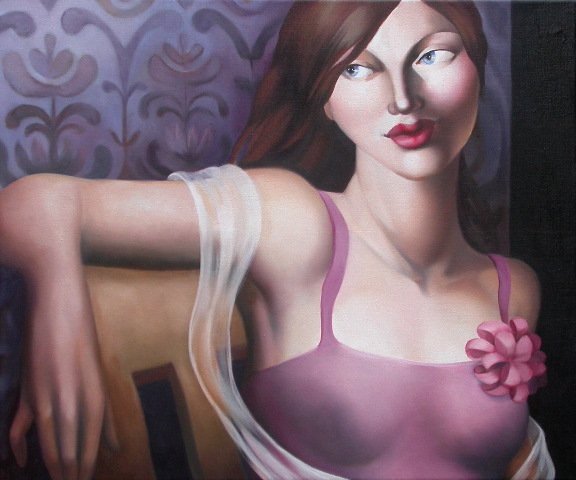 Rachel’s work focuses mainly on the female figure. Shapes and contours of the body are used to create a strong composition,coupled with rich colours and an ambience of light. Her women are self assured and provocative and convey an inner strength often suggested through the short stories or poems that inspire them.